This majestic looking piece of steaming hot chocolate is calling your name. It’s also saying pretty lude things. Calm down, hot chocolate. Geez. Chriiiistmaaaas! la, la, la laaaaa! CHRISTMAAAS! la, la, la, la, laaaaa! It’s been unusually cold here in the big old state of Texas and we’ve literally had hot chocolate for the past three days. I’ve got a few recipes down but this one is definitely my favorite. Plus, this post is super appropriate because it’s officially the FIRST DAY OF WINTER! Take out your heated blankets from storage because things are about to get super cold, I think. It’s already cold in other places? Texas has weird weather. THE SOUL OF A CHRISTMAS ELF. I said it. Grab one of those little suckers and do your Christmas chant. He’ll gladly sacrifice his life source for your christmassy warmth. In a pot, a pretty Christmas pot, if you will. 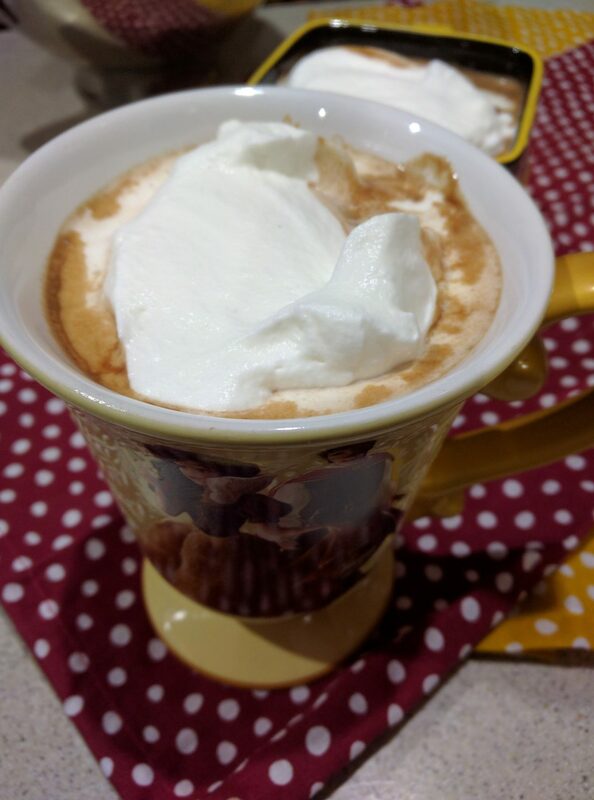 Place your milk and your heavy whipping cream. You’ll want your stove at a medium to low heat. You don’t want to boil this but you do want the mixture to become hot. Do try to think Christmas thoughts while you’re making this. Think of scenes of the Nutcracker or Ernest Saves Christmas the important Christmas entertainment. These thoughts will guarantee a Christmassy-filled beverage. Once the lactose is warm, start adding your chocolates. I’d start with the powdered ones first. You’ll want to whisk them in and not like you’re making scrambled eggs, you want to whisk well, but not too forceful. As your milk becomes a lovely chocolatey color, start adding your morsels and chopped up chocolate bits. Whisk and continue whisking until all the chocolate is melted. At this point, you’ll want to lower your stove’s heat to low. You don’t want to burn your chocolate. However, you do want it to melt so not too low. Keep an eye on it whilst whisking, give it a try, at this point you can add more if you’d like but I’ve noticed that this amount is JUST RIGHT. It’ll look this color. It’s the color of the best hot chocolate. This chocolatey delicious color of glory. Ain’t it presh? It is. It’s also so good. So so so good. You don’t have to share. Don’t. I insist you keep all this goodness to yourself. And you’re done! This recipe makes 4 cups exactly. I measured. 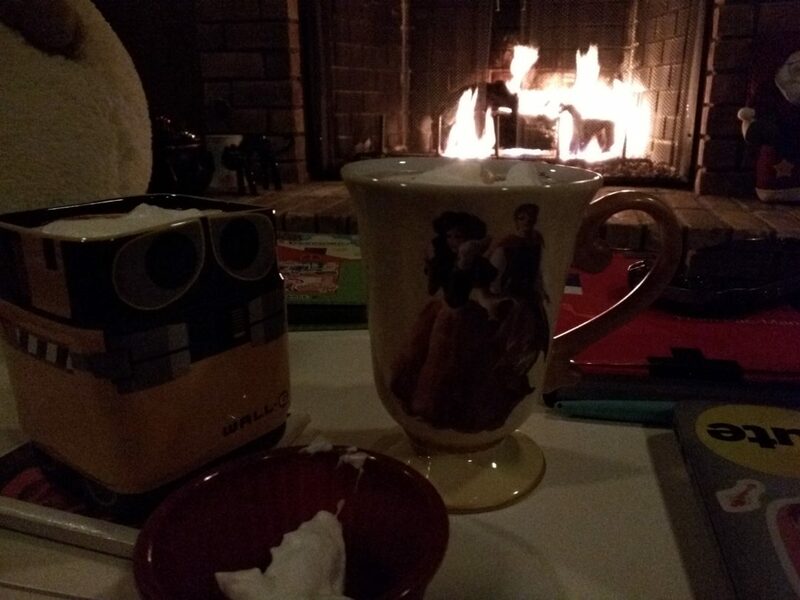 Have the hot chocolate by the fire with your family. It’ll help fill the void of not having the rest of your family with you. That little bit of whipped cream was for Bowser who is my perfect poodle and can’t have hot chocolate and shouldn’t have much lactose but tonight was a family night and his tum tum is fine. 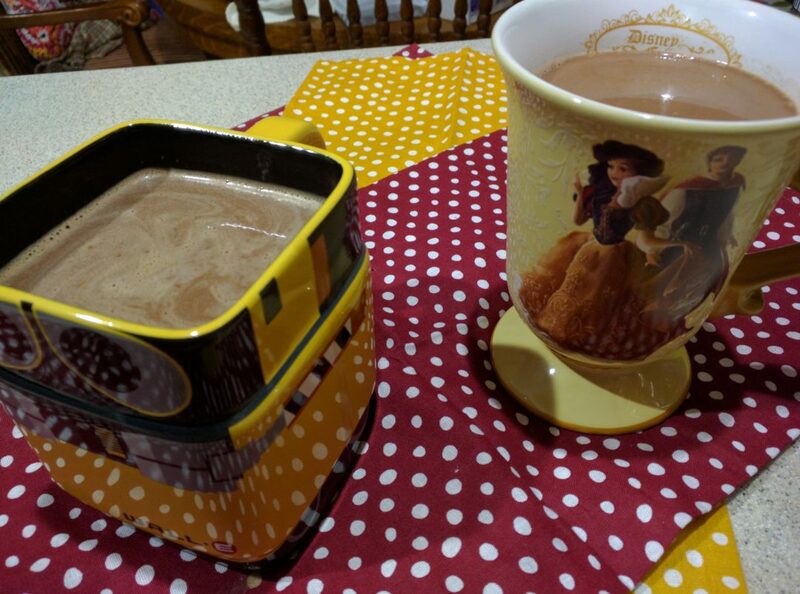 Yummy hot chocolate – and yes, for the love of all things holy, that Hershey’s syrup should be banned! Right?! I rolled in like a little festive snowball. I have so much to catch up on. I need to head over to that blog of yours and give it the love it so rightfully deserves. GIRL, Hershey’s syrup is repulsive and I loooooathe it.